Wash and dry hooves thoroughly taking care to remove all traces of soil etc. 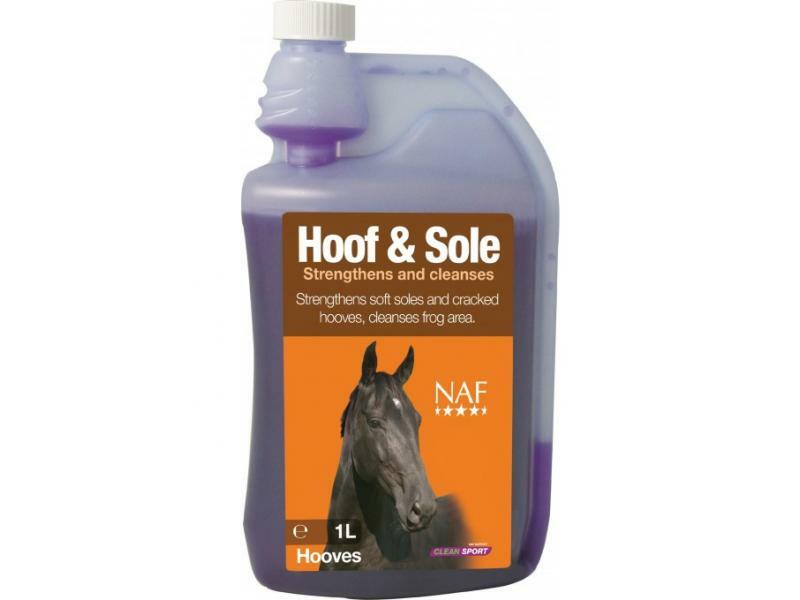 With brush provided liberally apply Hoof & Sole around the hoof, sole and frog allowing the liqiud to seep into nail holes, cracks and between the hoof and shoe. Take great care not to paint onto skin or coronet band. Allow hoof to dry. 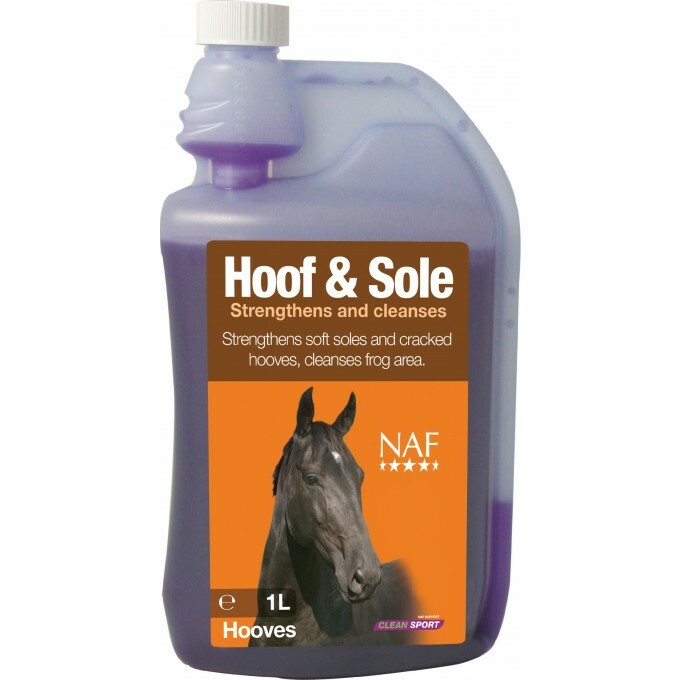 There are currently no questions for NAF Hoof & Sole for Horses - be the first to ask one!